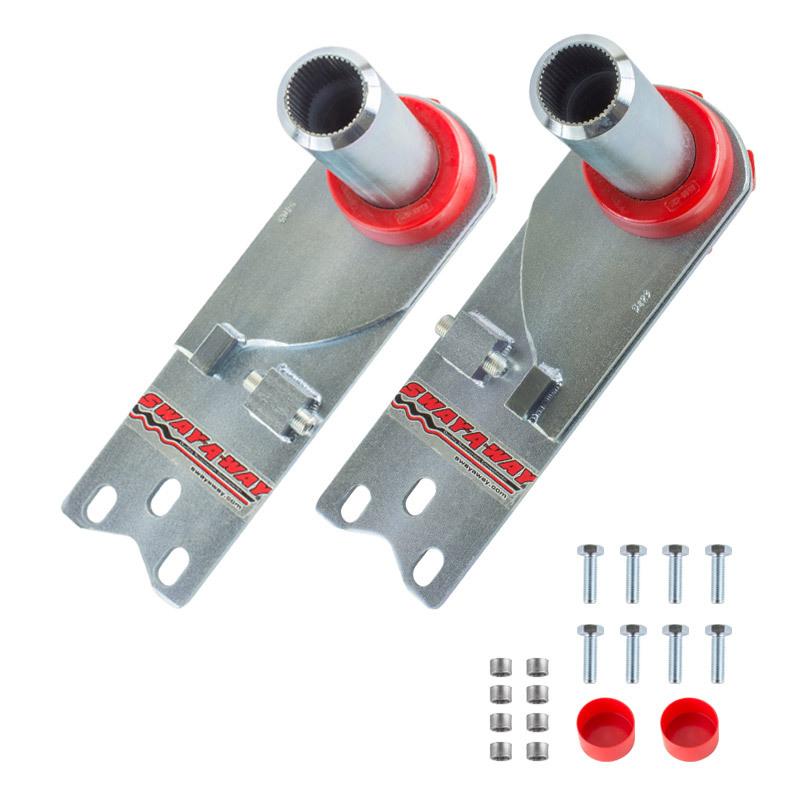 High-performance adjustable spring plates for Porsche 911, 912, and 930. All Sway-A-Way Porsche spring plates are sold in pairs and come with polyurethane bushings. 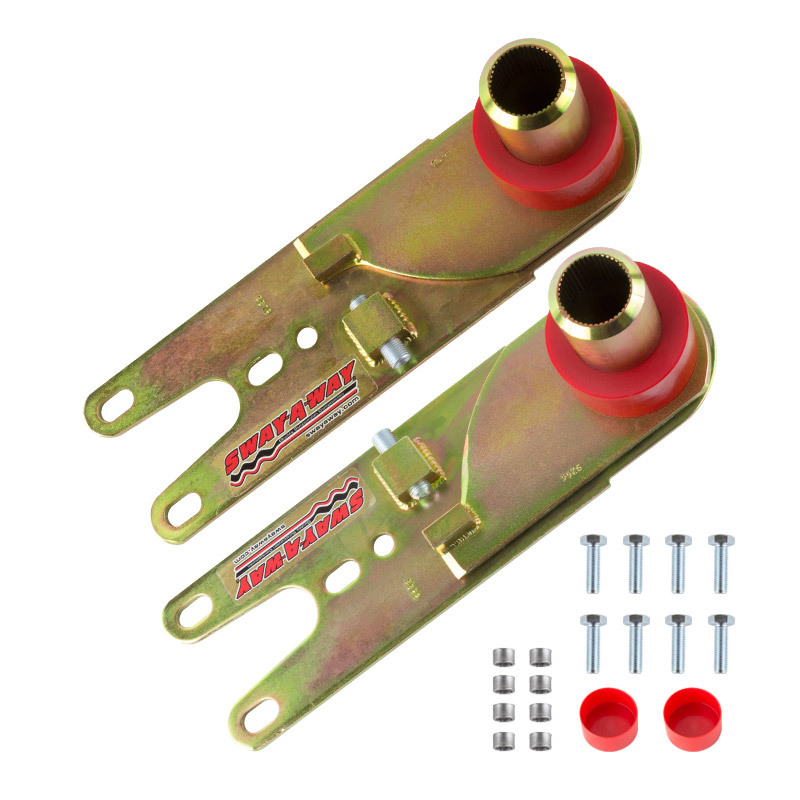 These race-proven spring plates are gold zinc plated for corrosion resistance and feature about 2 in. of adjustment range.